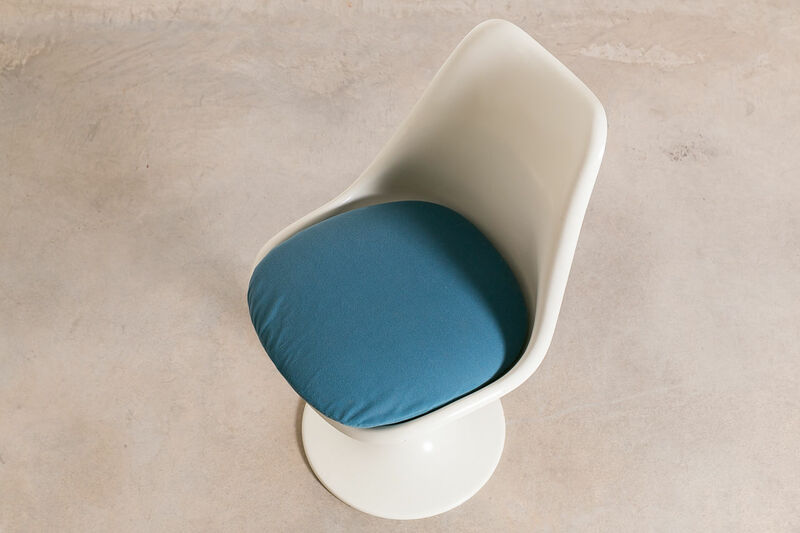 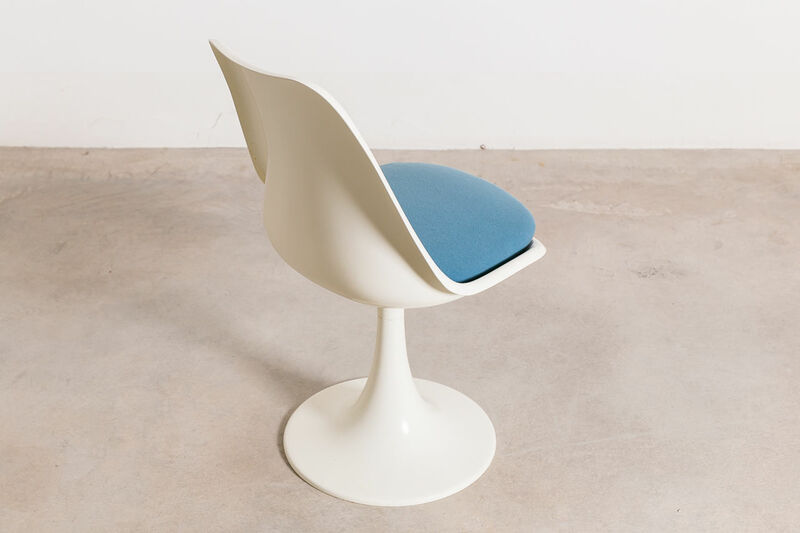 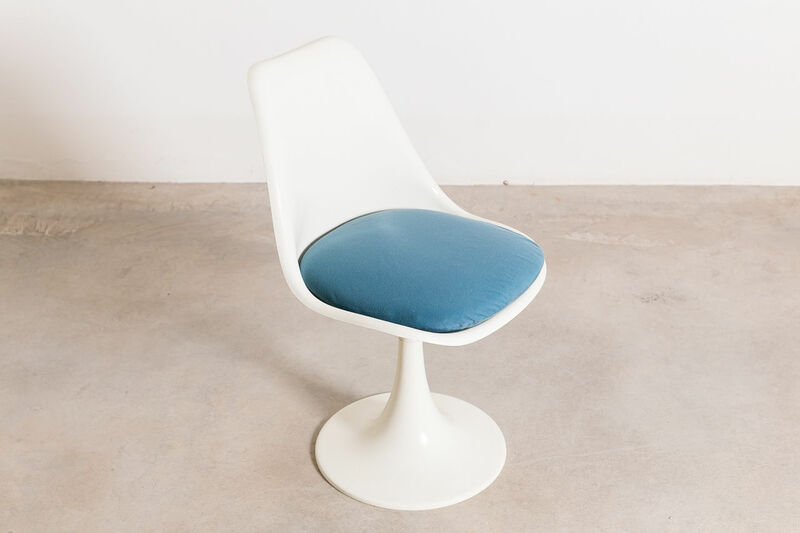 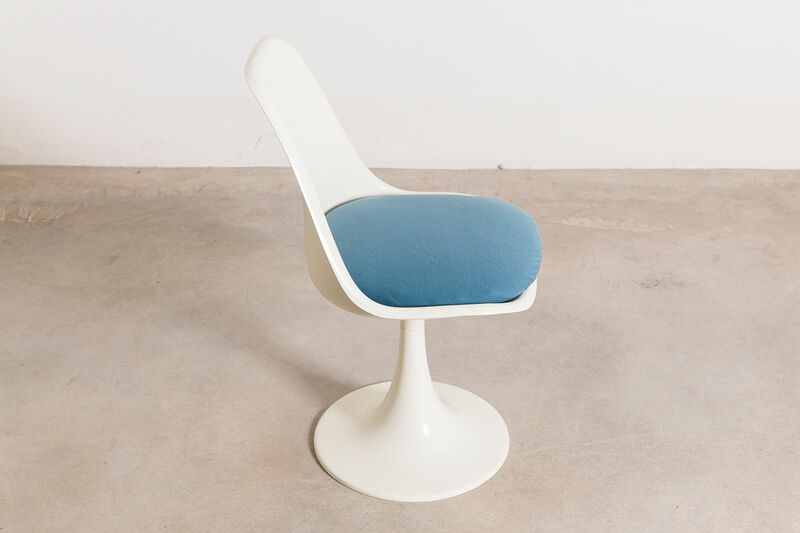 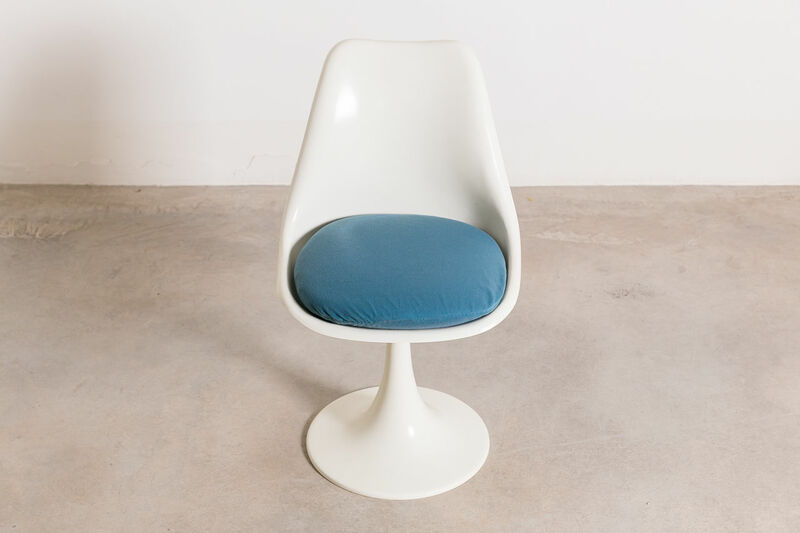 Famous Tulip Chair designed by Eero Saarinen in 1956. 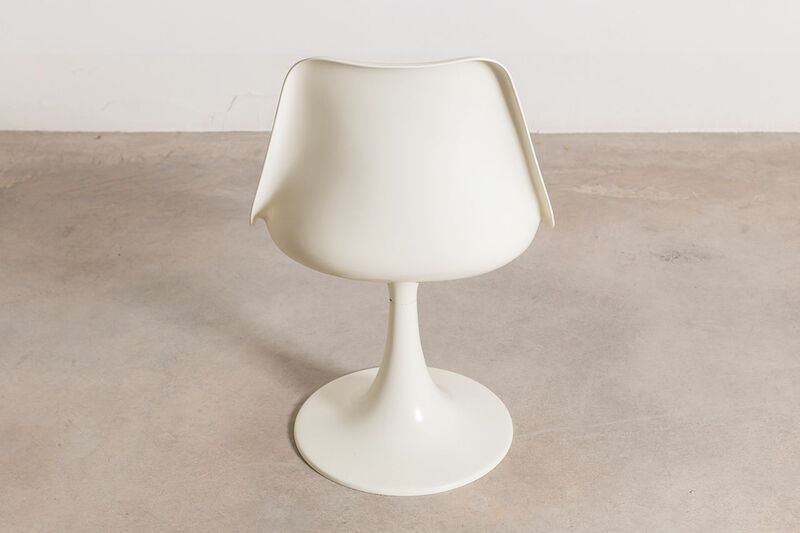 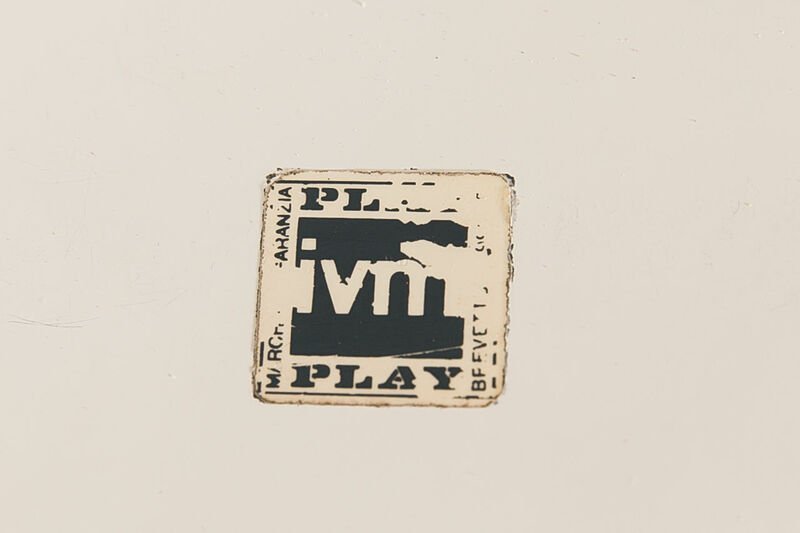 The Tulip series was a major inspiration for the designers of the time and for a large number of designers for decades to come.Displayed at MoMA i | Castorina & Co. 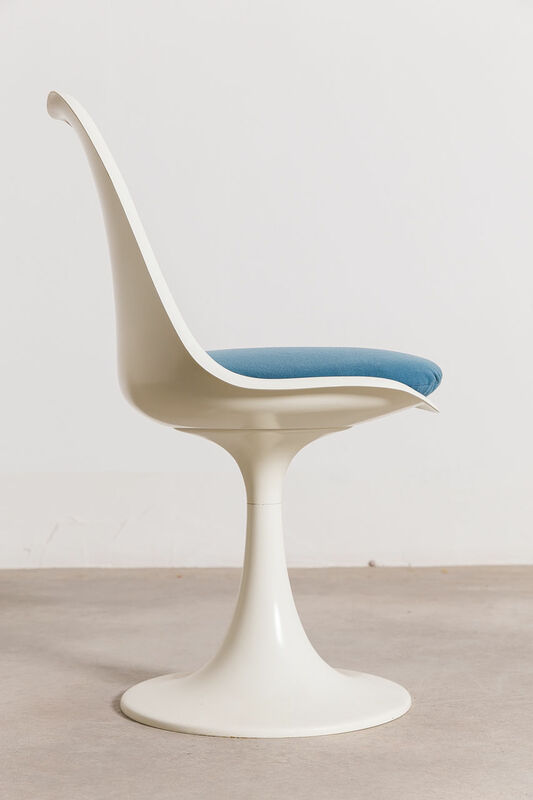 Famous Tulip Chair designed by Eero Saarinen in 1956. 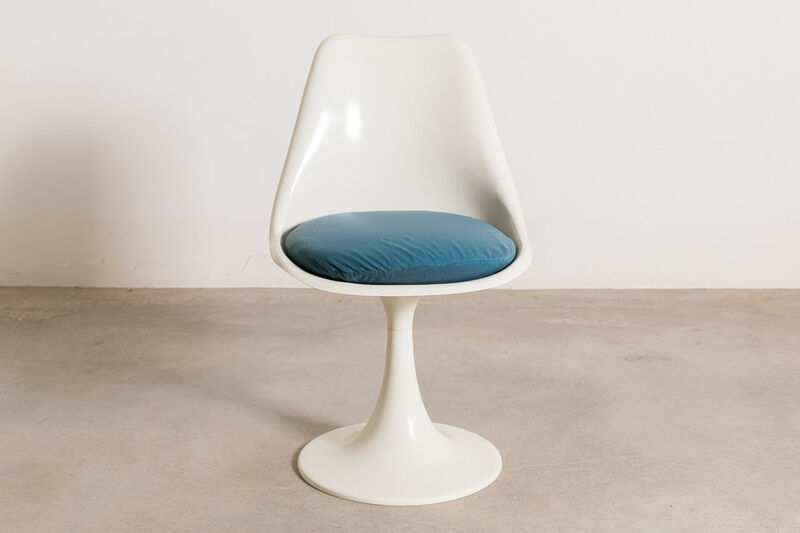 The Tulip series was a major inspiration for the designers of the time and for a large number of designers for decades to come.Displayed at MoMA in New York, and in many private collections.This model was produced in the early 70s by Play, Italian furniture company, under license from Knoll International.It has all the characteristics in order: fiberglass structure, swivel pedestal with metal core, size.